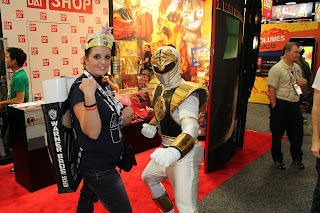 I was very lucky to have an old high school friend, who was able to attend SDCC 2013. Here is my interview below with Tara. I’m a 30 year old and a mother of 3. I take my kids with me to conventions and we cosplay at most cons. We make most of our costumes and props. Why did you decide to go to this years Comic Con? Last minute I was able to get a 1 day pass, and couldn't refuse. 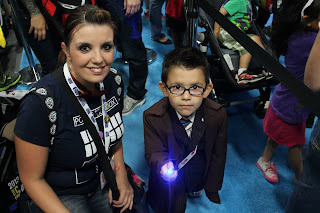 I was attempting to attend the 50TH Anniversary Doctor Who Panel. The only events I was able to do were the dealers room and obtain a few SDCC Exclusives. Many were sold out due to people camping out overnight to be first in line for the special items. 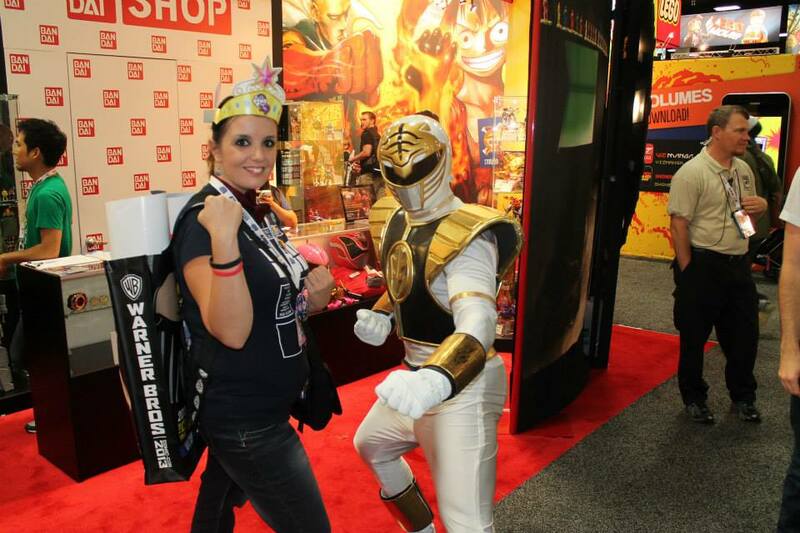 I was VERY excited for the JEM Gold Holograms figure and the Power Rangers 24K Morpher. 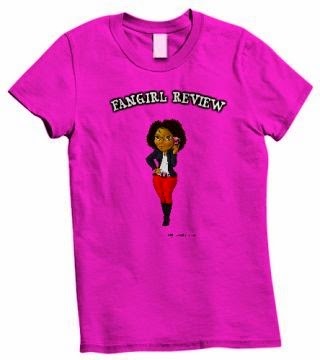 However she sold out within 20min. 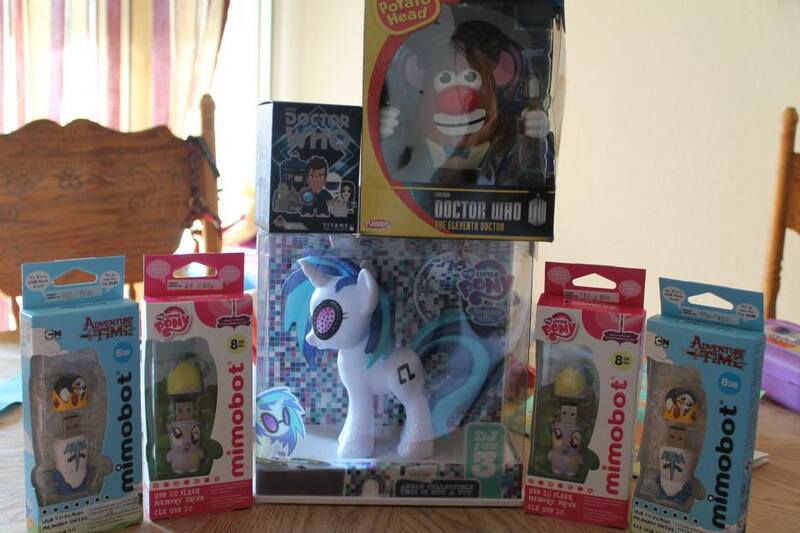 I was able to pickup the Doctor Who Tennant bobble head and DJ PON3 exclusives. EXTREMELY Crowded. PLAN AHEAD! Plan to wait in long lines, and lines sometimes being capped due to fire hazards. And map out what you want to do and be EARLY!!!!!! The Dealers room is huge!!!! You could spend an entire day in there and probably not see everything. Due to being there only 1 day, no. I attempted to get in a last minute Matt Smith panel but it sold out in 5min. Matt Smith and other celebrities were known to walk around wearing full masks so they wouldn't get bothered by fans. So you never know who’s under the mask! Anything else that you enjoyed about Comic Con? Most attendees are very nice and helpful. Stay on twitter for updates in the con, when celebrities are walking around doing free autographs/pictures. Bring water and easy snacks as you spend a lot of time walking around and in lines. If you don’t have a ticket to SDCC GO ANYWAY! There is so much to do across the street from the con and you don’t need a badge to attend. They have many free arcades, freebies, and events. If it’s your first year attending, it can be very overwhelming. It gets very crowded (and sold out), so plenty of traffic and people. Trolleys run 24/7 during SDCC but are very crowded. There is parking, however it is limited and expensive. Yes, I've been going tons of Cons since 2000. 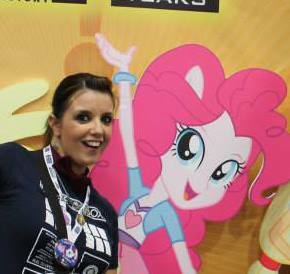 I plan to attend a My Little Pony con in San Diego this year, and hoping to obtain SDCC tickets for next year. Humble thanks to Tara for being my insider into SDCC 2013 this year. I might have to give you some money to buy me tickets for next year as well! Thanks again. I forgot to add, at the PETCO Stadium NERDHQ takes over. MANY MANY MANY free things to do. They even have panels with some guests for sale. Most of the sales they make go to charity! So you could get lucky and get a photo op w a celebrity for a donation! Again NO SDCC badge needed here for entry! They will Tweet who is in the house, upcoming panels, changes, etc.